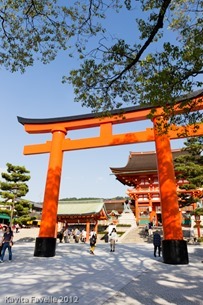 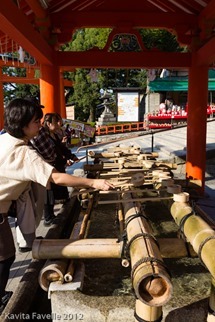 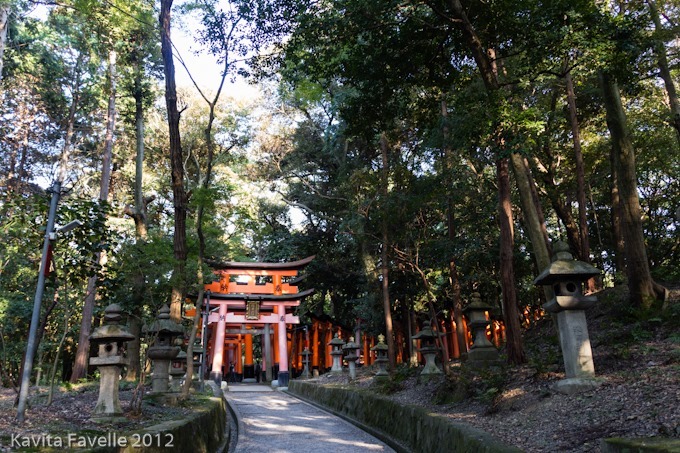 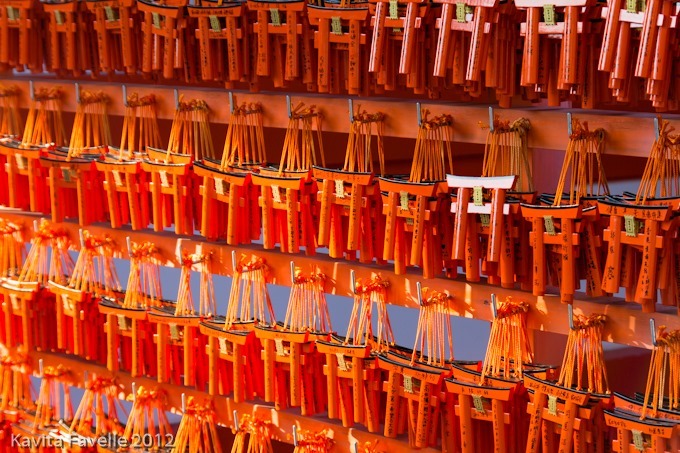 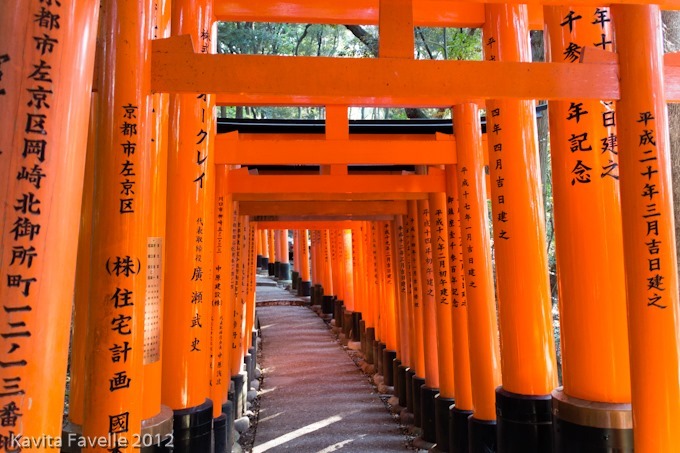 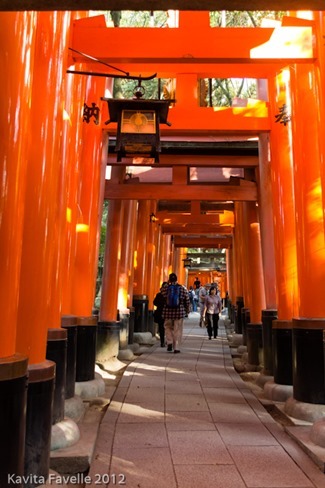 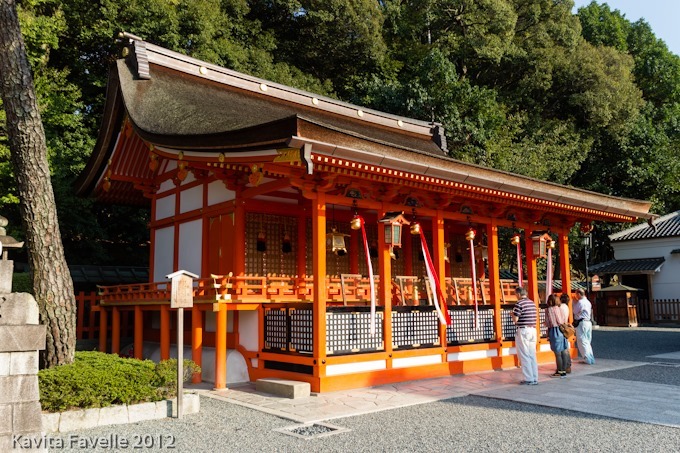 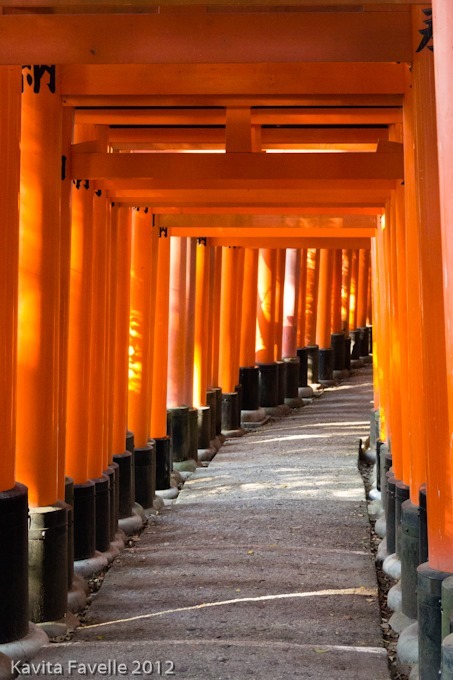 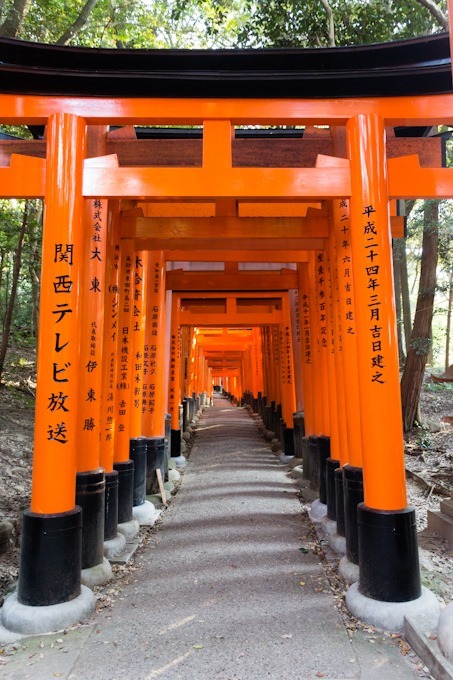 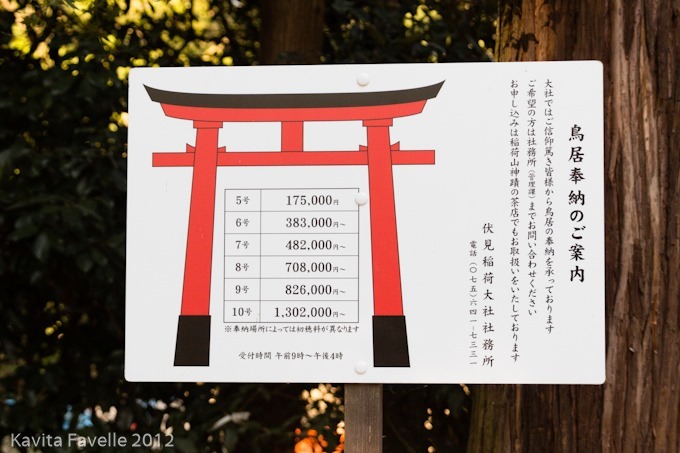 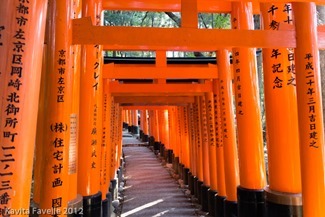 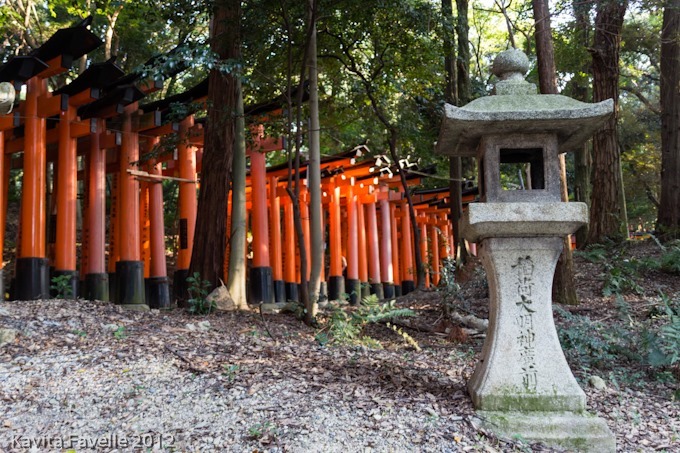 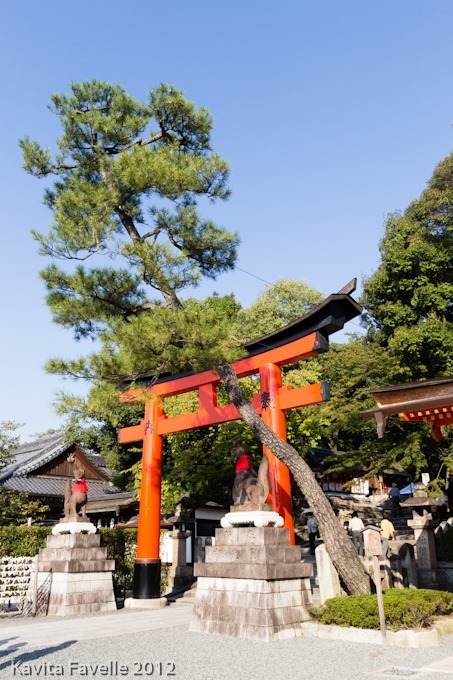 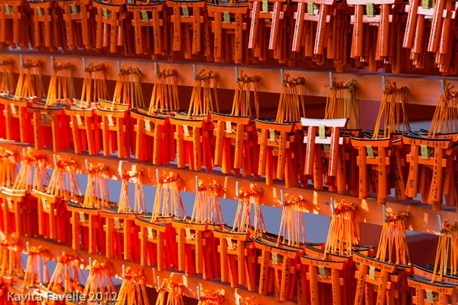 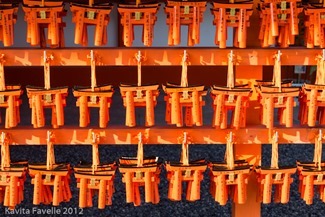 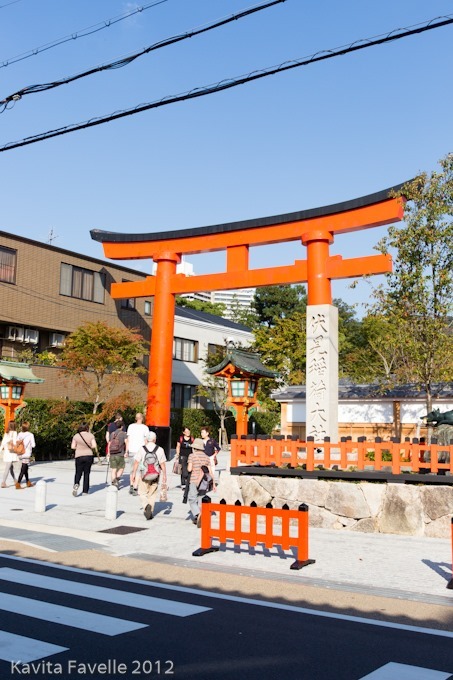 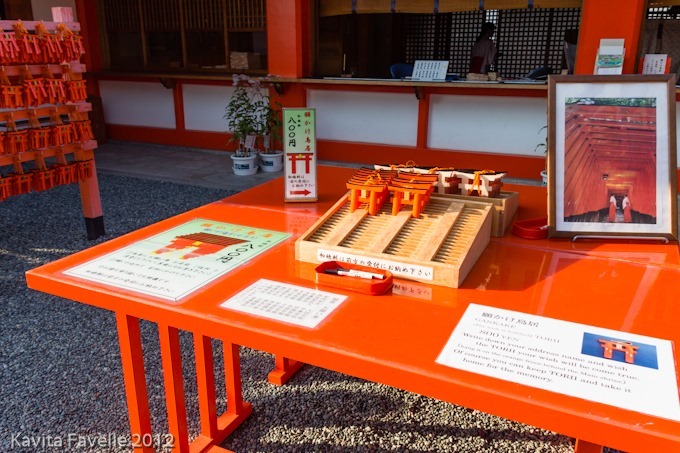 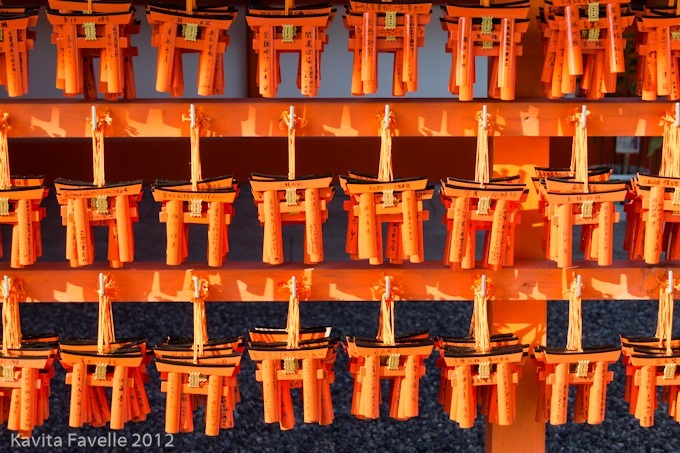 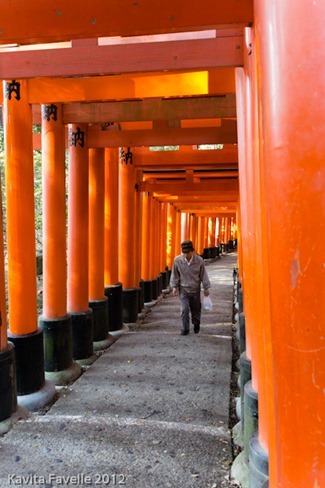 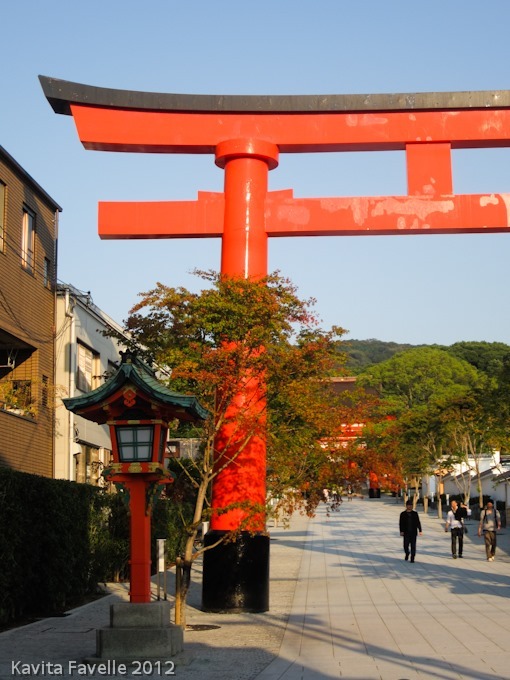 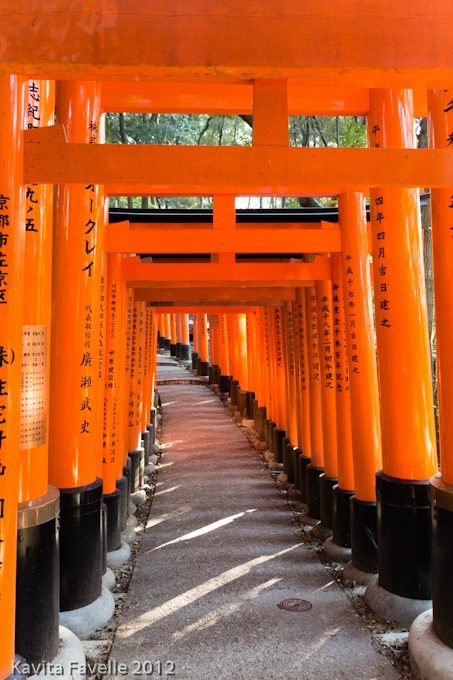 As the head Inari shrine, Fushimi Inari-taisha is large and grand. 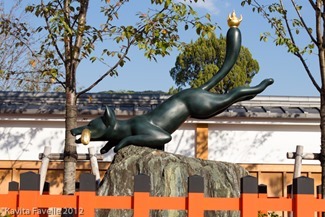 Inari is the kami (spirit) of fertility, rice and industry, amongst others and many pray for success with their harvests and in business. 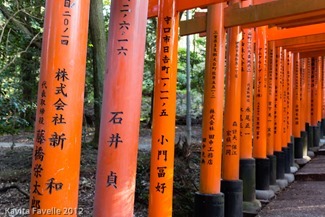 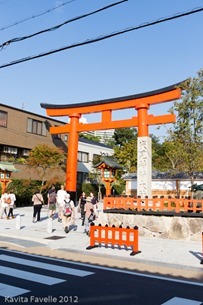 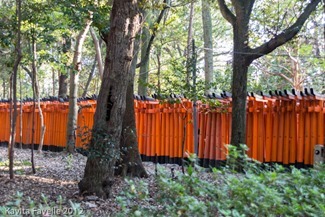 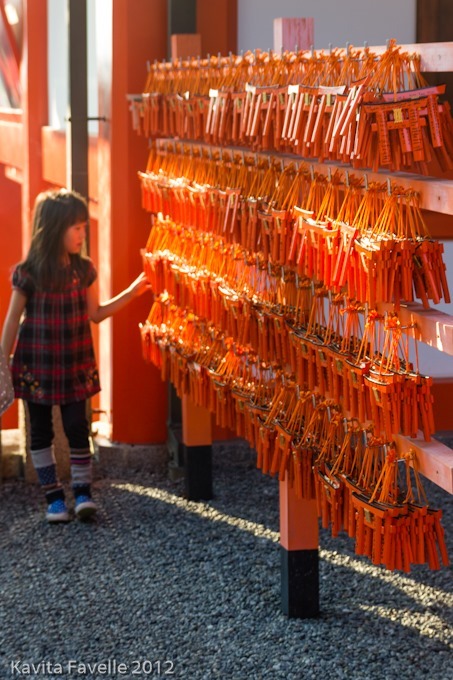 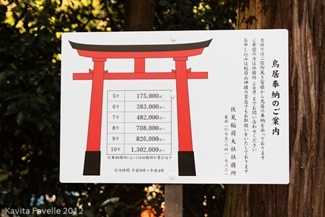 A popular way to give thanks to Inari is to donate a torii to the shrine, and the trails behind the shrine are lined with many hundreds of torii of different sizes. Each one is inscribed with the name of the donator and the date the gate was given. 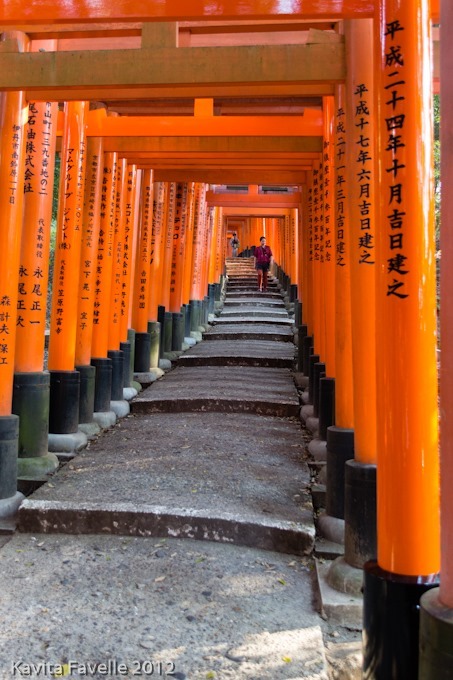 The paths, rising up the mountainside, are known as senbon torii (thousands of gates) and there really are thousands of them. Painted bright red, as is the tradition, they are quite a sight! 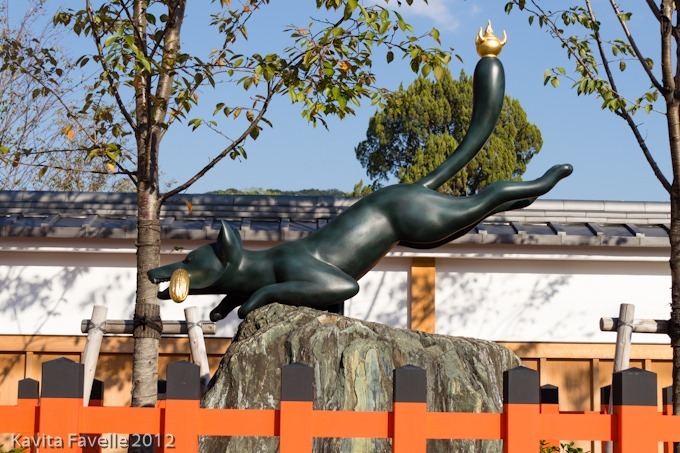 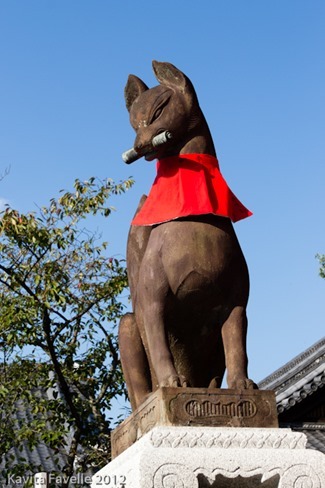 As foxes are the messengers of Inari, there are also regal fox statues across the site. 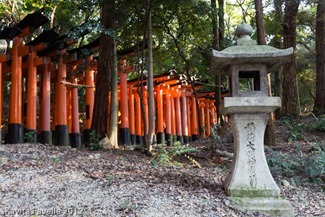 As our visit was towards the end of the day, the sun was low in the sky and its golden light spilled between the pillars of the gates. 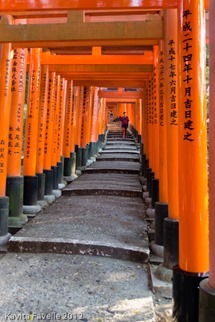 The first senbon torii was crowded with tourists, but as we walked further back, we shared the paths with fewer fellow visitors. 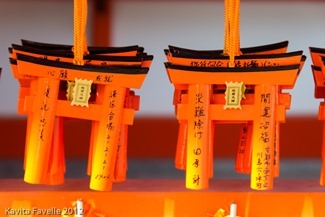 7 Comments to "Messages of Health, Happiness, Love & Good Fortune (3)"
Lovely photos and an ‘awe’ ending!!! 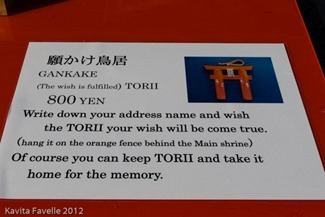 Glad to bring you happy memories. 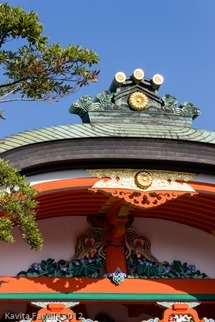 Stunning photos! 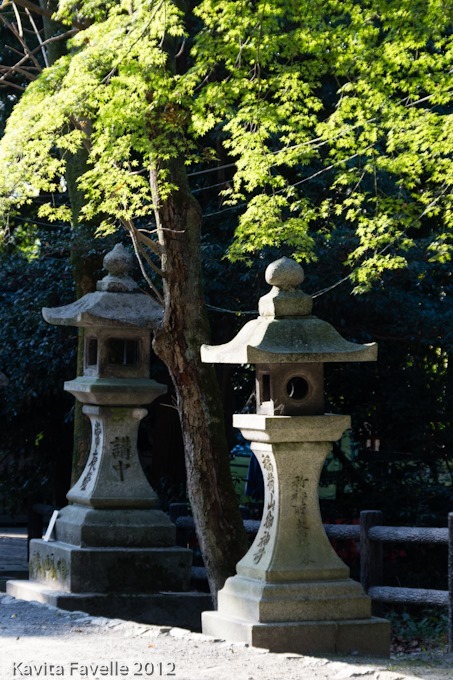 That afternoon sun is beautiful. 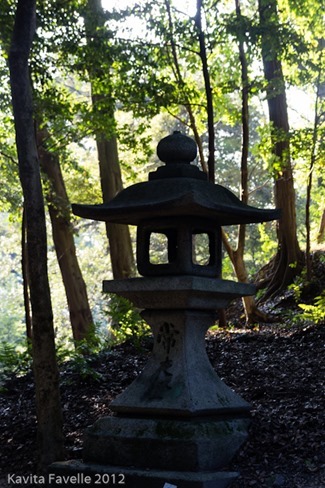 It looks very peaceful too. Yes, especially once you move farther away from the entrance area, and there are less people milling about. 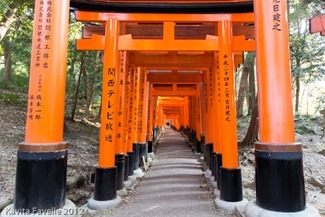 It’s a stunning sight.